First Point IT India is ASP.Net Development Company in Delhi India, provide web application development services in ASP.Net. Our Expert team of ASP.NET supply comprehensive solutions with utilizing the full capability of Microsoft.NET functionality. Our experienced developers, Testers work with you to clear understand your website requirements and demonstrate the capabilities of Microsoft .NET framework and develop the full proof system to the requirements. We Provide ASP.Net website development at affordable prices for your any type of business applications. Microsoft’s ASP.NET is the next and advanced generation of ASP, but its really not an upgraded version of ASP. 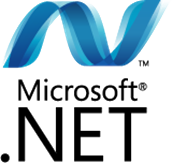 ASP.NET is an entirely new and advanced technology for server-side scripting. It was written from the ground up and is not backward compatible with classic ASP.